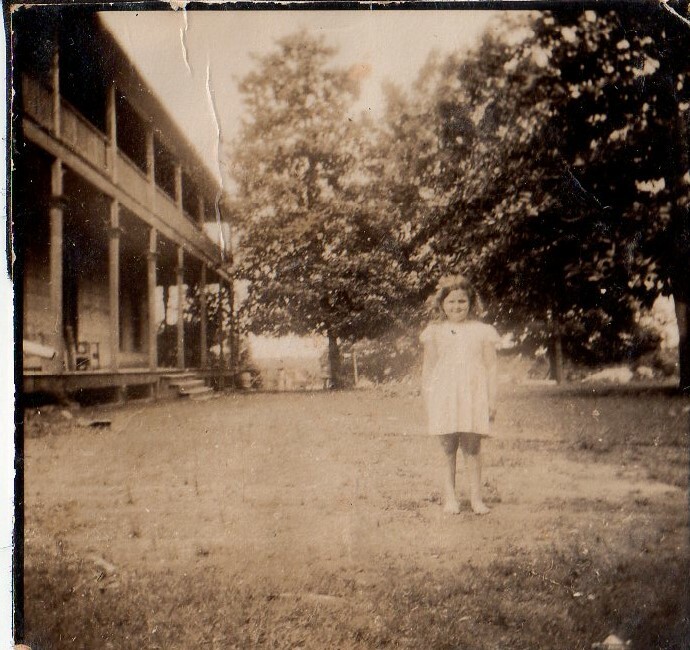 Maxine Holliday, (Peggy’s sister) next to the Dupree House in Raymond, Mississippi. The Dupree House, located near the Natchez Trace in Raymond, Mississippi, was occupied by the Holliday family from 1933 to 1966. * Emily’s mother-in-law Peggy Holliday Hester lived here when she was young. 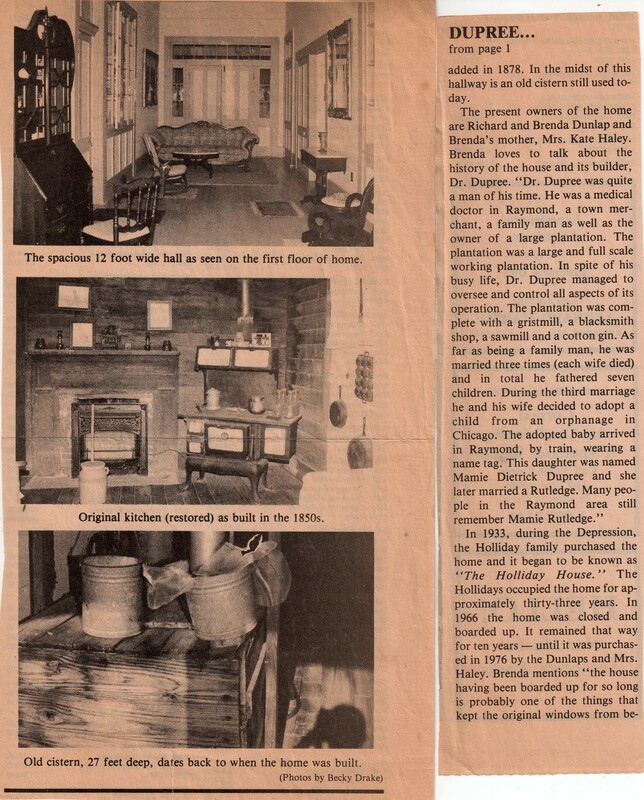 The photo and article shared in this post was located among Peggy’s treasured keepsakes. 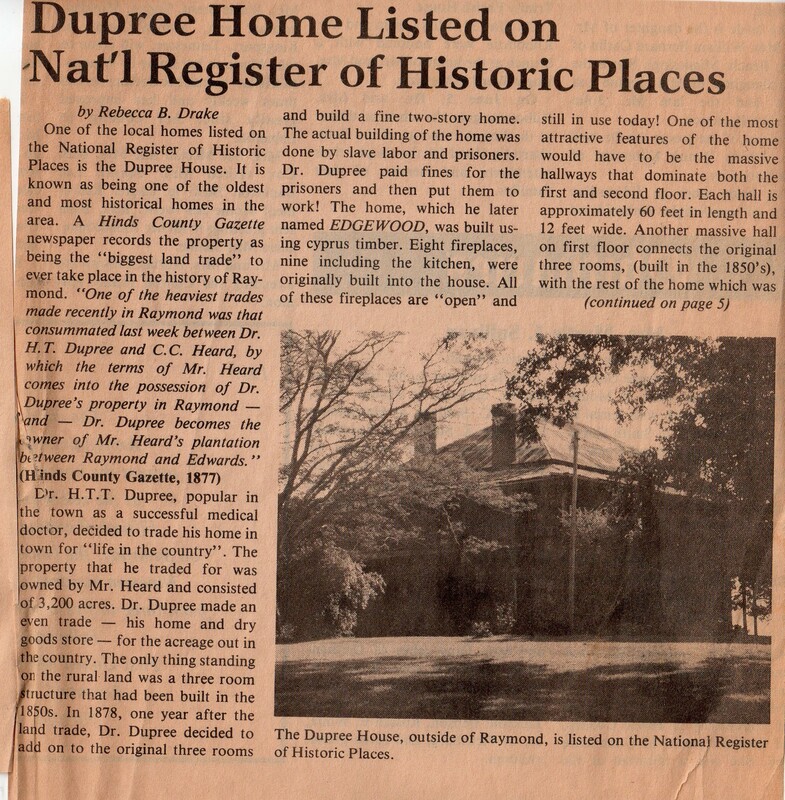 The Dupree House is currently owned by Charles and Brenda Davis** and has been operating Mamie’s Cottage Bed & Breakfast, located on the Dupree House grounds since November 1988. One wonders what would be told if these walls could talk. Article and photos by Becky Drake. 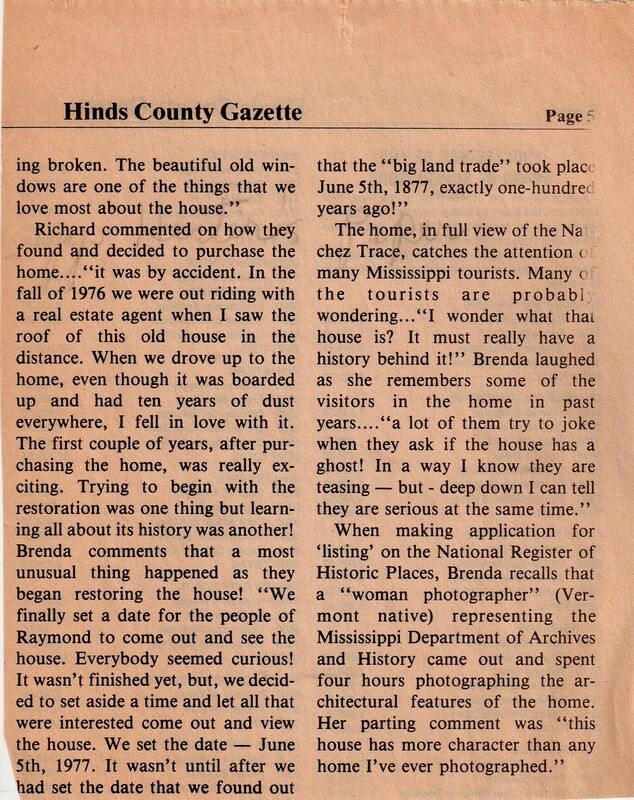 Published in Hinds County Gazette, June 1987.